Unai Emery heaped the praise on his team as Arsenal secured a comfortable 2-0 win over rivals Chelsea at the Emirates Stadium. The Gunners came out of the blocks firing, and took an early lead thanks to a fantastic individual effort from Alexandre Lacazette. Despite Chelsea enjoying the majority of possession, Arsenal were able to contain the visitors to very few chances and doubled their lead on the stroke of half time. Laurent Koscielny found himself unmarked in the middle of the penalty area and got on the end of a Sokratis cross, with the ball coming off his shoulder and looping into the back of the net. ​Chelsea barely improved in the second half as ​Arsenal remained strong at the back whilst also looking threatening going forward. 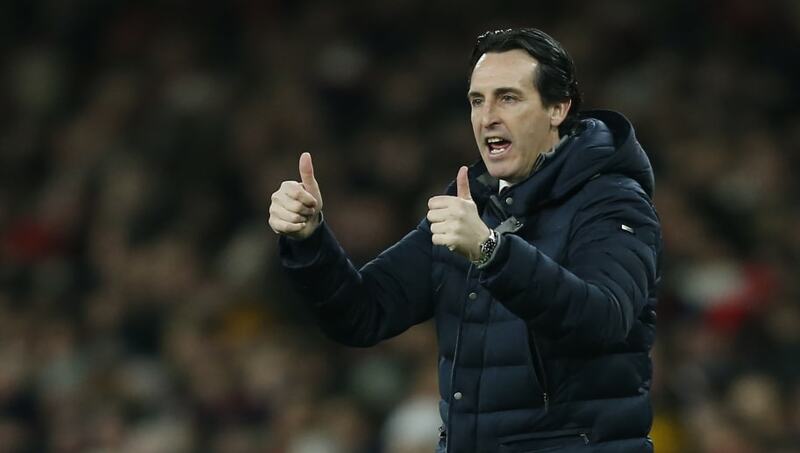 Speaking in his post match press conference, as quoted by ​The Metro after the game, Emery admitted that whilst he was delighted with the performance, his side mustn't get carried away with the result. He said: "We wanted to win for our fans. The difference in the table [between ourselves and Chelsea] was six points, but this victory can help us be optimistic. We can be happy after today, but we need to take things game by game. We need to find the right balance at home and away. At home you can show all the supporters what you can do. "The difference between last match and today’s game is very big, even with the same players, so we need to find that balance." The win means Arsenal have now closed the gap on Chelsea from six points to three with the Gunners now just one place below the Blues in the ​Premier League table, however there was one moment of concern for the home fans during the game. Full back Hector Bellerin went down in the second half clutching his knee, with Emery going on to admit he fears it could be a serious injury for the Spaniard. He added: "We will wait. It’s his knee. "The prediction is it could be an important injury. I hope no, but our first impression is not positive." It was a fantastic performance from Arsenal, and Emery will be hoping for more of the same when they face Manchester United in the FA Cup on Friday night.